Large Giclée on canvas available up to 92" wide. 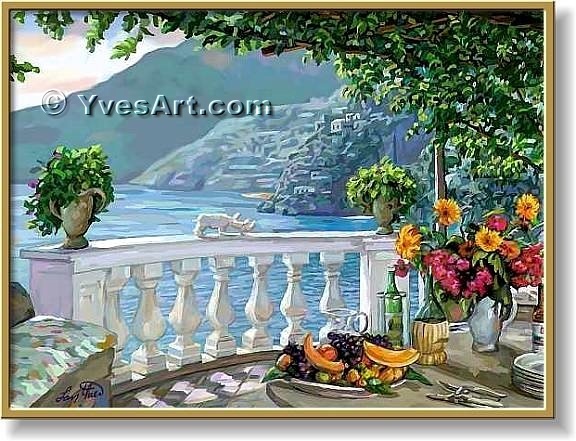 This painting was inspired from the Italian coastal Riviera. World Design Contest was open to participants around the world from April 1998 to January 1999. Gala event, An Evening of Art & Inspiration.